Engagement letters often receive short shrift from busy attorneys. There are plenty of reasons for this - sometimes, a new client needs or demands immediate action and there is not a moment to spare - the attorney jumps right into the substantive aspects of the representation before even thinking carefully about what its parameters are, let alone carefully delineating them in a writing. Other times, it is an existing or previous client who calls with a new case and the lawyer thinks, "The engagement letter I did before should cover me - no need to waste time and effort doing another one." Other attorneys are reluctant to spend the time necessary to craft a good engagement letter, thinking that their time is better spent on billable matters. After all, bonuses at many firms take billable hours into account and I suspect most attorneys will struggle to recollect the last time they observed a colleague receive professional commendation for putting together a really great engagement letter. 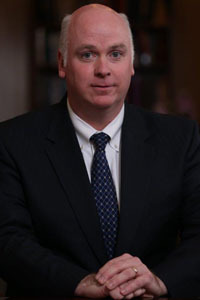 Other attorneys resist the formality of engagement letters, feeling that they will be off-putting to a client at a particularly awkward time - the beginning of a representation, when the attorney-client relationship is sometimes fragile and both attorney and client are not yet comfortable with one another. Despite the widespread nature of some of these feelings, I am here to tell you that you should stop underestimating the importance of an engagement letter. If you can't learn to love them, at least learn to give them some grudging respect (even if they deserve more). Recognize that many of your "justifications" for not doing them well -- or even at all -- are simply rationalization or procrastination masquerading as reason. I am not here to deliver the ultimate primer on engagement letters - in-depth articles (and probably even books) have been written on the topic. Many attorney-hours have been devoted at seminars talking about engagement letters. Most of what is said probably goes in one ear and out the other for most listeners. So, in the context of a short blog posting, I just wanted to offer some quick thoughts for you to consider the next time you are drafting an engagement letter - or considering whether you should. Most importantly, do one for every matter - even new matters for longtime clients (the scope and description of the matter you handled years ago may not make any sense in the context of the new matter - create a new one). Not all jurisdictions have ethical rules requiring the terms of an engagement to be put in writing, but many do. And, even if your jurisdiction does not require them, you should still do one. A well-crafted engagement letter, rather than alienate a client as many fear, can actually improve an attorney-client relationship when they serve to eliminate ambiguity and provide certainty about all the terms of the engagement. Perhaps even more importantly, in an era when lawyers are often pushed to think of the law much more in terms of being a business than they used to be a generation or two ago, a good engagement letter helps minimize exposure to malpractice claims and disciplinary complaints. There are huge differences in terms of cost, worry and professional embarrassment between winning summary judgment in a malpractice case because of a clear and unambiguous engagement letter and a judge finding that there is a triable issue of material fact. While almost every attorney would readily recognize the many benefits stemming from a comprehensive written agreement when counseling a client who is contemplating entering into a new business relationship, many of them fail to follow such advice when it comes to their own law practices. Don't fall into this "do as I say, not as I do" situation. Protect yourself and your firm and do an engagement letter that, at a bare minimum, accurately identifies the client or clients, the scope of the representation, and the fee arrangement. Just getting those basics correct will prevent many of the most frequent types of attorney-client disputes, malpractice claims and disciplinary complaints. I have had the opportunity to review a lot of engagement letters, some much better than others. I've also had the opportunity to observe the reactions of clients and general counsel to proposed engagement letters and have gleaned some "don'ts" to keep in mind when drafting your next engagement letter. I know this seems really basic, but don't fail to list what specific rates you will be charging. Clients want and need to know. I have seen a number of engagement letters that gloss over rates entirely - simply saying "fair and reasonable" rates will be charged or "customary" rates will be charged. Those are not only mistaken approaches from the perspective of the attorney who should want to secure an unambiguous agreement from the client to pay the precise rates that he or she is expecting, but it is also terrible from a client relations perspective. Clients frequently have no basis to know what a law firm would consider "customary." And, as anyone who has practiced law for more than five minutes can attest, people's ideas about what is "fair" and "reasonable" tend to vary widely. Don't leave yourself exposed to that level of ambiguity - you wouldn't draft an agreement for a client with that much ambiguity surrounding a basic term. And don't make a client feel like they have to pull teeth just to get such a basic piece of information out of you - it sets a poor tone for the relationship and can serve to confirm some people's suspicions that lawyers are always up to something - you don't want your own client to feel that way about you. Another pet peeve of many clients is being made to felt like they are being nickel and dimed to death. I implore you to stop asking clients to pay 25 cents a page for everyday copying expenses and don't try to sneak in a $2 per page charge for faxing. Consider simply building such overhead-type costs into the hourly rates you are charging or agreeing to provide such things at your actual cost. Such approaches are much more of a client pleaser than making a client feel like you are using them as a profit center. And it is hardly worth losing a hundreds of dollar per hour representation over an effort to make a few extra bucks on photocopying and faxing.